Most people who are intent on building their personal and business finances know there is no quick road to wealth. While some people dream about their lucky numbers finally being called, others are making every day count. Of course, not everyone can make it onto the Forbes rich list, and some individuals rise to wealth largely through privilege and circumstance. However, for many others, their position can be directly attributed to exceptional work habits and a determination to succeed. 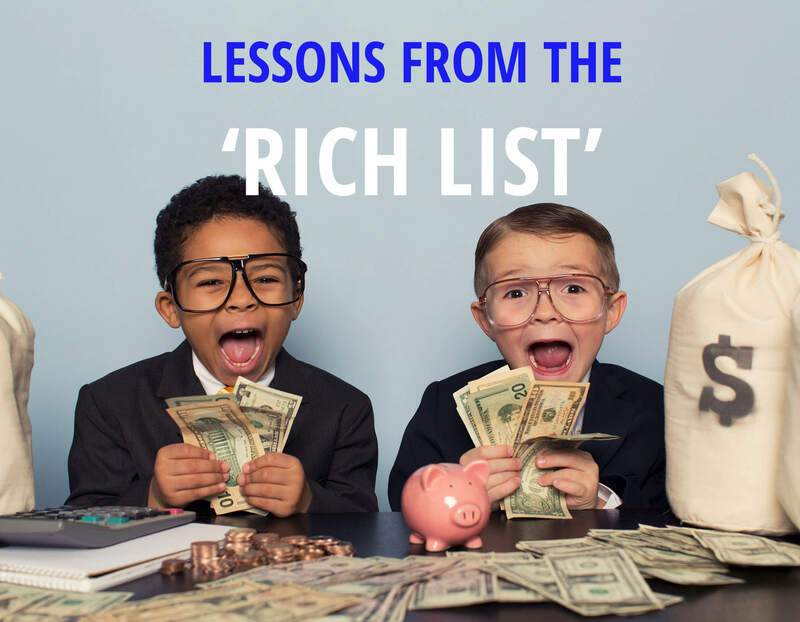 If you’re committed to delivering a serious boost to your finances, then cultivating the techniques favoured by those on the rich list can assist you to achieve your personal and professional goals. The wealthiest and most successful people in the world demonstrate a single-minded commitment to their goals; eating, sleeping and breathing their enterprises. You need look no further than Zhou Qunfei, the world’s richest self-made woman, who started out working in a factory by day and taking accounting classes by night. She proves that determination over a sustained period produces undeniable results. A number of very prosperous people don’t start out pursuing wealth; they pursue a passion. Consider Bill Gates or Elon Musk, who both conceived an exciting, innovative idea. Passion compels people to continue pushing for their goals. In a society where many people just pursue income, successful people use their knowledge and talent to turn their passion into a revenue-generating venture. Innovative ideas require big-picture thinking. The wealthiest people in the world didn’t stop after one success (or failure). They remained committed to their vision and focussed on the long term. Ultimately, individuals who have accumulated significant wealth tend to be entrepreneurs whose determination to ‘win’ motivates them to map out the future and set specific and achievable goals. Jeff Bezos, amazon CEO, has a notoriously rigorous hiring process. Why? Because he understands the importance of surrounding himself with other driven people. Successful people act intentionally to nurture valuable professional and personal relationships, putting time and energy into helping these relationships grow. Sir James Dyson, who literally made his fortune out of hot air, famously said ‘99% per cent of my life is failure’, in reference to the number of prototypes his company makes before they get it right. What he shows us is that failure is an inevitable part of the process and that each failure is an invaluable learning opportunity. Realising that the insights gained from failing have practical applications, successful people continually find inspiration for new ideas and devise ways to execute them. Finally, there are many ways that affluent people go about growing and managing their wealth, and making smart financial investments is certainly a critical component of building capital. Whether you are looking to invest in the share market, a new venture or property, knowledge is power. It pays to do your homework and ask for expert advice where required. While, the extent to which your own mindset and habits dictate how successful you are cannot be understated, it’s always good to have an expert in your corner. We’re here to help you maximise your wealth and achieve your vision of success. Attended Princeton and worked at a hedge fund before founding Amazon in 1994. Now manages the world’s largest private charitable foundation. Bought his first stock at age 11. Intends to give more than 99% of his fortune to charity. Oversees an empire of brands including Louis Vuitton and Sephora. Dropped out of Harvard to found Facebook at the age of 19. Next Post Is your money personality set in stone?